The Game Piano Tiles 2 is the second version of the piano play series by the Developers Cheetah Games. for Android and iPhone devices. There are also some online versions available, however, these are far less sophisticated. Rules of the game are simple. The player only needs to click on the black bars, and every time you touch the black bar, will send a single note of music, but the pace of the game is very fast so players can easily screw up and press outside the black bar, thereby ending the round. If you complete the song, the game resets with the same song, but the tempo increases. So, every time you complete a song, the piano tiles move faster, and you have to move your fingers faster to keep up with them. When playing the game Piano Tiles 2, players can play with their friends on Facebook. You can even set up a network and play with players in other countries around the world. Keep in mind, though, that there is pretty fierce competition to see which country has the best players, so you might find yourself in the midst of an international Piano Tiles 2 battle! With nice interface, the game Piano Tiles 2 introduces players to colorful musical world. The music of Piano Tiles 2 is very diverse, with many famous artists from around the globe. The way to play this game is very simple: to achieve high scores, players should eat up a lot of bonuses, and keep practicing in order to become better. 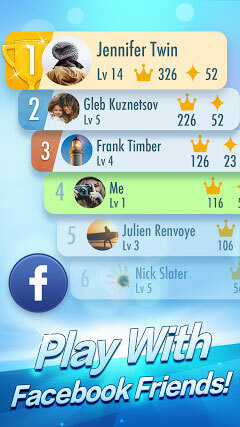 Once you achieve a high score, you will be able to immediately share on social networks for bragging rights. You’ll need to move your fingers quickly and accurately to avoid the edges of the black tiles and press the abyss on the white tile side. The Piano Tiles 2 game will count this as a touch and when the player drags the finger inside the screen again , It will be counted as already making a click and you will lose.